Strasburg Rail Road, "The Road To Paradise"
The Strasburg Rail Road, located in the heart of Pennsylvania’s Amish community, is the country’s oldest such corporate entity still in continuous operation. Its story begins during the early 1830's and for more than a century operated as a relatively insignificant short line. Today, most in the general public view its heritage as only an interesting side-story. Most come for the entertainment. At that, the Strasburg excels. Today, it is the most popular tourist railroad in the lower 48 states; only Alaska's White Pass & Yukon Route sees higher ridership, thanks to an endless stream of cruise ships where tourists can board trains directly from the dock in Skagway. "The Road To Paradise" employs a variety of ways to attract customers, aided by its close proximity to the densely populated Northeast; Philadelphia is just an hour away while the Big Apple is only three. In addition, the state-sponsored Railroad Museum of Pennsylvania, containing a magnificent collection of historic displays, locomotives, and cars, is situated right next door. The two main factors for its enormous success, however, is by striving for authenticity and hardworking employees who maintain the railroad to immaculate standards. The early history of what was known as the Strasburg Rail Road Company is relatively murky. Its creation came about from the town of Strasburg's fear its economic standing would collapse after being bypassed by another project. It all began when the state of Pennsylvania commissioned the building of a canal (officially known as the Pennsylvania Canal) on February 25, 1826 to connect Harrisburg with Pittsburgh. A few years later plans extended its eastern connection to Philadelphia. At the time, canals were seen as the future in public transportation and with the Erie Canal already opened, the state was worried Philadelphia would lose economic prominence to New York City. In an interesting design, engineers came up with a system that utilized both waterways and early, interlinking railroads which were collectively known as the Main Line of Public Works. It was a somewhat profitable venture although by the time it got underway railroads, much faster with an ability to operate in all types of weather, were already proving themselves technologically superior. The Delaware & Hudson Canal Company opened an early gravity railroad as part of its canal system to move anthracite coal in 1829 while the Baltimore & Ohio operated its first train in 1830. There was also the Mohawk & Hudson, inaugurated on August 9, 1831, which ran 16 miles from Albany to Schenectady. Another early system was the New York & Erie (predecessor to the Erie Railroad) that began construction in 1836; it had completed about 40 miles from Piermont to Goshen, New York by September of 1841 (a decade later it would command an impressive 447-mile main line). The B&O was most worrying to Pennsylvania state and business leaders as they feared it could propel Baltimore past Philadelphia as the region's top port. The legislature hurriedly formed the Pennsylvania Railroad in 1846 and work began quickly to construct an all-rail corridor across the state. In regards to the Strasburg Rail Road, it was the Philadelphia & Columbia Railroad (P&C) which garnered the greatest attention. As part of the Main Line of Public Works the P&C would run 82 miles from Philadelphia to Columbia but, unfortunately, its alignment would bypass Strasburg. To remedy this wrong the town wanted its own railroad to reach the P&C main line at nearby Leaman Place (Paradise). A charter was granted by the Pennsylvania state legislature on June 9, 1832 and the Strasburg Rail Road Company was born. It would primarily serve the farming communities of bucolic Lancaster County, situated just over 60 miles west of downtown Philadelphia. Following 5 years of funding efforts and construction the railroad placed 4.5 miles into service in 1837. Interestingly, for more than a decade the railroad was an entirely horse-led venture. It was not until a 4-2-0, named the William Penn (manufactured by the Norris Locomotive Works), arrived in 1851 did the Strasbug boast steam power. During the next century little changed at the Strasburg Rail Road as the short line remained an obscure and mostly forgotten operation in the larger context of the national industry. The only noteworthy events included the loss of dedicated passenger trains and switch from steam to diesel locomotives. The former occurred in 1909 when regular service was replaced by a diminutive trolley and the latter in 1926 when the railroad purchased a new, 20-ton, gasoline switcher from the Plymouth Locomotive Works. As America embraced the automobile the purpose of rural operations like the Strasburg grew increasingly redundant. This became very apparent after the remnants of Hurricane Hazel washed out sections of the railroad's fill and downed trees all along its right-of-way in October, 1954. The Strasburg Rail Road filed for abandonment in 1957 and it appeared there was little left to do but pull up the rails. Then, according to the article "The Road To Paradise: Strasburg Makes Money On Passengers, But Oh That Freight Deficit!" by author William M. Moedinger, Jr. from the April, 1961 issue of Trains Magazine, a railfan by the name of Henry K. Long stepped up to see the property preserved. While he garnered strong support the monetary funding needed to acquire the railroad's 50 shares of outstanding stock remained elusive. Eventually, Long's non-profit organization attracted 24 individuals who agreed to purchase the shares for $450 each. This brought a total of $22.500 of which $18,000 was used to purchase the assets. The deal was completed on November 1, 1958 and the Strasburg's imminent scrapping was forestalled. At the time the forlorn short line included just one 20-ton locomotive, a single battery-box car, a one-cylinder section car, and 4.5-miles of overgrown right-of-way. Undaunted, the group believed a successful tourist enterprise could be forged from the rundown property. However, since it was still a common-carrier operation freight service also had to be maintained. With their remaining $4,500, the group set about performing what maintenance work they could that fall. This included overhauling the switcher (thanks to the help of Reading Railroad's shop forces), laying 400 new ties, repairing washouts, clearing trees, and cutting brush. Only a week later, on November 8th, the reborn railroad hauled its first revenue freight traffic from a mill in Strasburg thanks to a single empty boxcar dropped off by the Pennsylvania Railroad at Leaman Place Junction which boasted the stenciling, "STRAS RR." The next endeavor involved finding a suitable coach car which could handle passengers. Once again, the Reading assisted by providing a broken down wooden coach, later named Cherry Hill, that had been converted into an air-brake instruction car in its final years. The car was labeled for scrap after a steam pipe had burst, which severely damaged the floor. After repairing this issue and finding surplus bench seats from the Reading Shops, complete with plush upholstery, it was ready for service by early 1959. And so, a new era was born at 2 PM on Sunday, January 4, 1959 when the little Plymouth pulled 80 curious customers from Strasburg to Paradise, and then returned. Interestingly, since regularly scheduled passenger service had not been offered in more than a half-century, management wasn't even sure what a proper fare should be. So, folks were asked to simply donate whatever they felt was appropriate. Using this method, a standard fare of $1 per adult and $0.50 per child was gleaned. Even the most ardent supports were surely surprised when the Strasburg Rail Road began enjoying increasingly greater patronage. Interest was so strong that first year Santa Claus Specials were hosted for Christmas on December 18th. By then, another coach had arrived, an ex-Boston & Maine car given the name, Grasshopper Level. The decision proved a good one as each train averaged 150 customers. In 1960 two major events occurred which further boasted ridership, acquisition of Canadian National 0-6-0 #7312 (built by the Baldwin Locomotive Works in 1908) and the addition of Reading's long abandoned depot from East Petersburg, Pennsylvania (built in 1880). 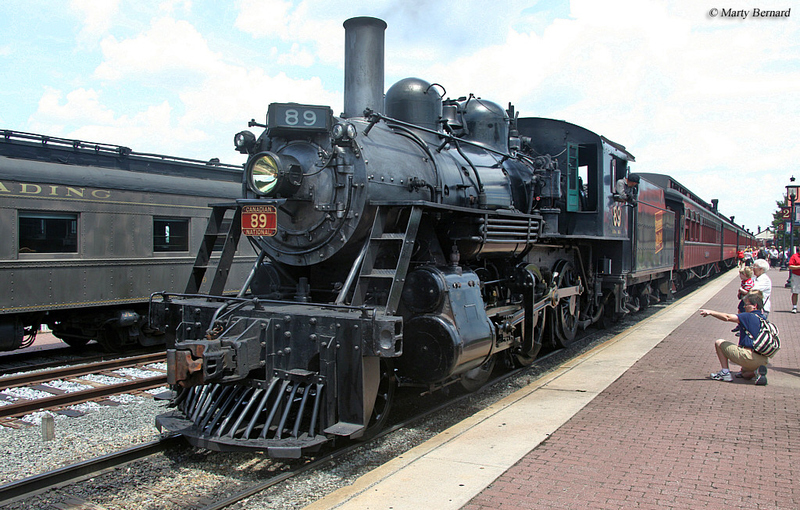 The steam locomotive, renumbered as 31 (it has since been given back its original number and CN colors), added further charm to the growing attraction while the depot provided a proper boarding location. With gingerbread-like architecture the building was cut into nine sections and reassembled on an area of 20 acres the railroad purchased east of Strasburg (these farm fields would later become home to its current yard and shops complex). The location was dubbed East Strasburg and opened to the public during a grand ceremony held on May 15, 1960. After #31 (#7312) passed all mechanical and boiler inspections, as mandated by the Interstate Commerce Commission, steam returned to the Strasburg Rail Road that Labor Day Weekend. Thomas the Tank Engine is the renowned children's novel brought to life by Wilbert Vere Awdry of Romsey, Hampshire. The wildly successful fictional British series, set on the Isle of Sodor, was turned into a TV series in 1984 and found its way to America in 1989. Thomas became immensely popular all over the world although there was no real-life version of the locomotive available. That is, until 1998, when Gullane Entertainment, then holder of all Thomas rights (Gullane is now owned by HiT Entertainment), commissioned the Strasburg Rail Road to restore a former Brooklyn Eastern District Terminal (BEDT) 55-ton 0-6-0 back to operational status. In the process, it was to feature a likeness of Thomas. The idea was an immediate success; in 2000, nine "Day Out With Thomas" events were held which, according to the article, "Is A Little Blue Engine The Next Big Thing" by author Mark Hemphill from the May, 2001 issue of Trains Magazine, attracted 300,000 riders. Three were held in Strasburg and attracted 67,000 riders alone! For the Illinois Railway Museum, 33,500 rode the trains, accounting for an astounding 67% of its annual attendance that year. Gullane subsequently asked Strasburg to build three standard-gauge and one narrow-gauge dummy locomotives, allowing it to schedule up to 60 events annually. Today, these events attract thousands all over the country where visitors not only ride the trains but also purchase considerable Thomas-related products. 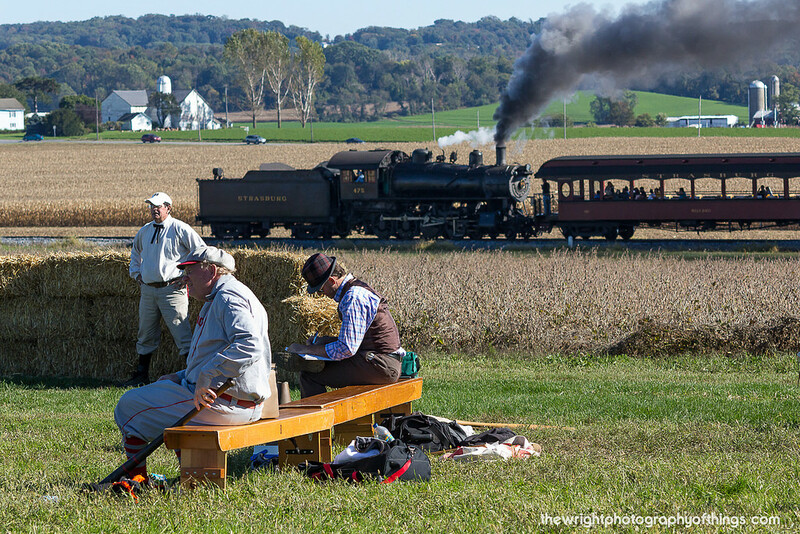 The modern-day version of the Strasburg Rail Road is somewhat of any oxymoron since President and Chief Mechanical Officer Linn Moedinger strives to maintain the railroad to a 1915 appearance. The company values authenticity above all else in an effort to maximize revenue potential. But, it was not always this way. Until the late 1980's the railroad was primarily a standard excursion attraction, aimed at hauling passengers in regular coaches with few other amenities available. This business model had proven successful for nearly three decades. However, as Moedinger points out, through the passage of time older adults and parents no longer remembered what it was like to ride a train. As a result, something more was needed to continue attracting ridership. That occurred in 1988 when the Strasburg took a chance on something different and introduced parlor car service. The car, named Marian, was rebuilt from a 1910 Boston & Maine coach and proved an immediate success, selling out much faster than standard coach class. Armed with this knowledge, management continued expanding by launching dining car service in 1993 with the Lee E. Brenner, another former Boston & Maine car built in 1909. It, too, was a success. 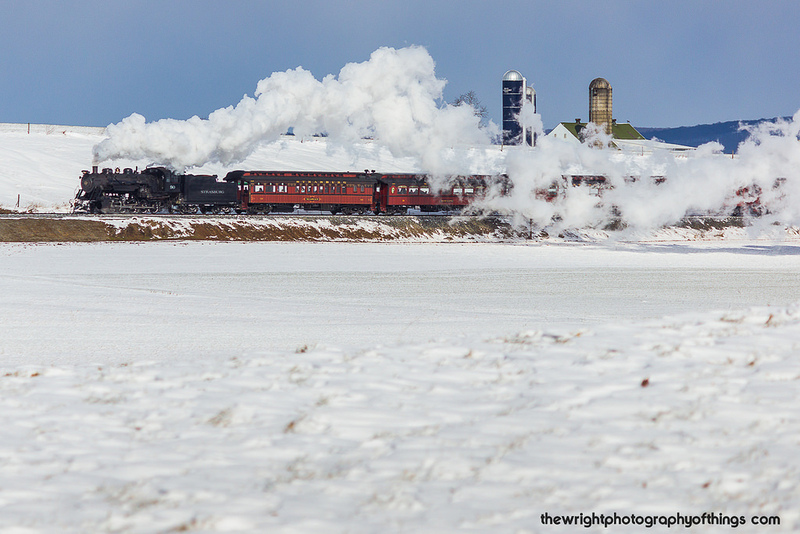 From this point forward the Strasburg Rail Road was off and running. 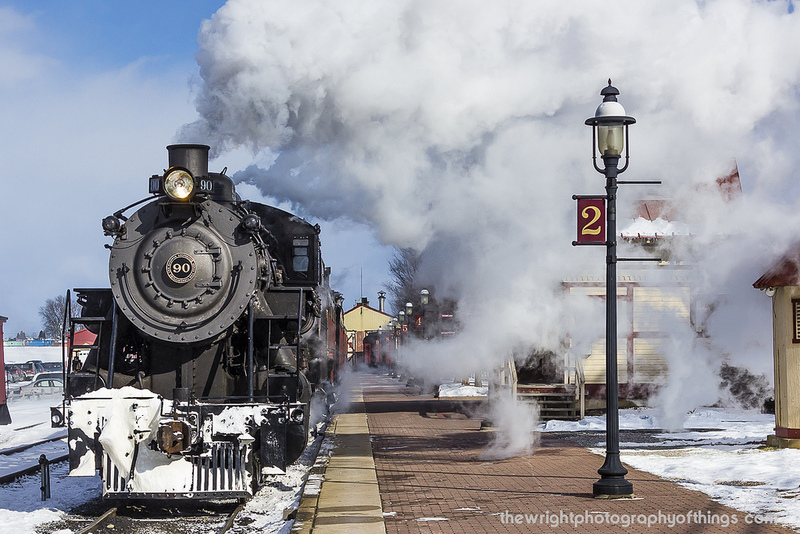 Today, in an effort to maintain a genuine appearance, steam locomotives sport their original livery and numbers while passenger cars feature a red/crimson scheme commonly used during the early 20th century. In 1991, ridership peaked at 475,000, a number which steadily declined through the year 2000. As a means of recovering interest and growing ridership, several events transpired between 2006/2007. Acording to the article "Lessons From The Strasburg At 50" by author Erik G. Ledbetter from the May, 2008 issue of Trains Magazine, in 2006 the diner-parlor Henry K. Long (yet another ex-Boston & Maine coach built in 1910) was introduced. Then, a year later a wine tasting train was added after the railroad acquired its liquor license (2006). Also in 2007, the rebuilt Philadelphia & Reading #10, was placed into service. Among this private president's car more notable perks is air-conditioning, a luxury which has since been added to many other cars after numerous customer requests. Aside from the Strasburg's immense popularity its locomotive shops have become another important source of revenue, carrying out contract work for many customers throughout the country. Finally, as a means of keeping customers on the property the railroad hosts the Cagney steam train, a miniature steam train ride powered by an authentic scale locomotive. It also offers a hand-pump car to try out. In any interesting twist and testament to how things can come full circle, its freight business has also grown in recent years, to the point that it now handles several hundred carloads annually. This traffic includes grain, lumber, and other liquid materials. 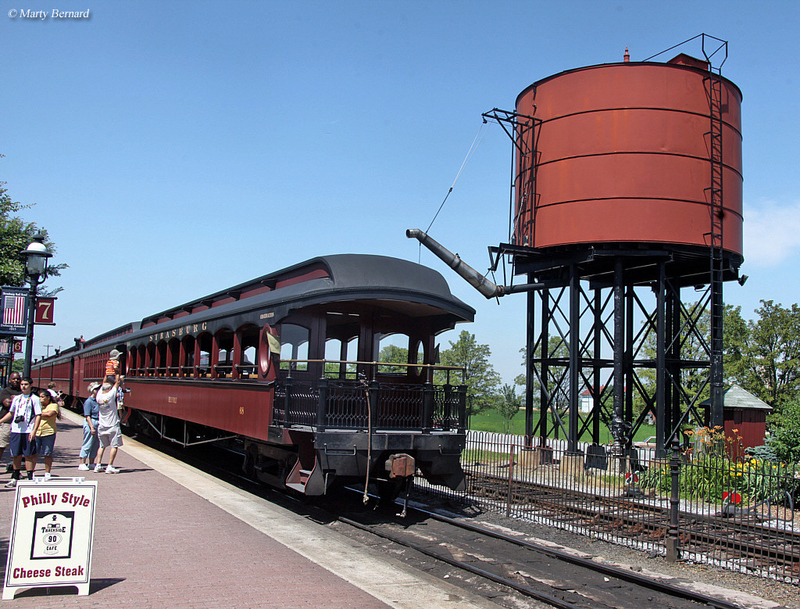 To learn more about the Strasburg Rail Road please click here to visit their official website.